No7 Event and the First Time I had my Make-Up Done. 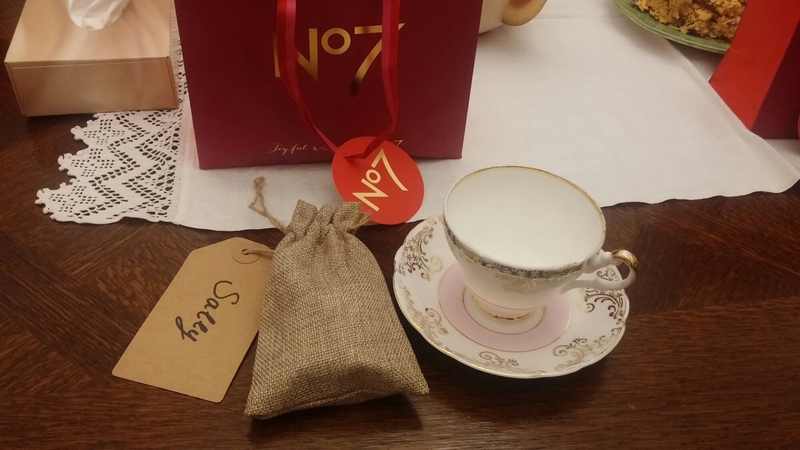 So last Thursday Emily and I were lucky enough to be invited to a No7 event here in Plymouth. It was to try out their Match Made service, which I had heard of but never tried myself. 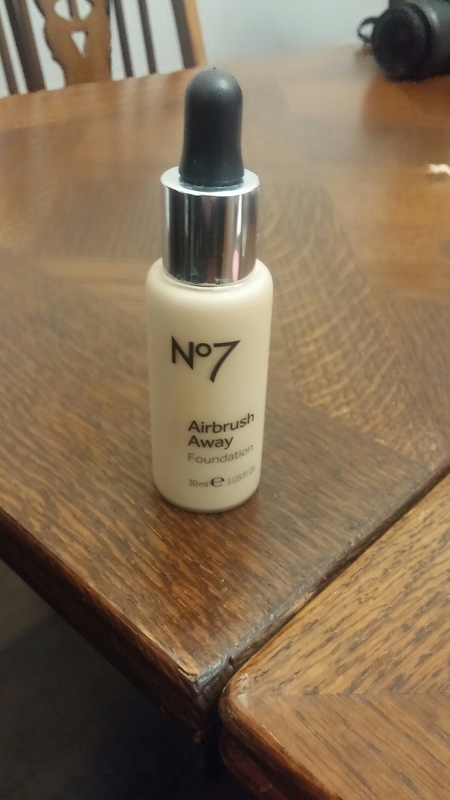 Now, No7 is a brand that I has always been around but I’ve never really thought of for myself. I remember stealing my first ever lipstick from my mum and it was a gorgeous plum shade by No7, and I loved it. 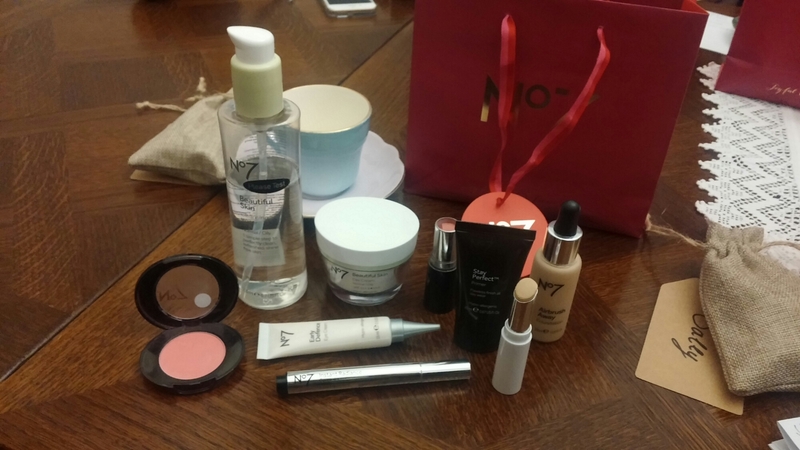 Since hitting my twenties I’ve come to realise that the brands I associate with my mum are actually really great brands (why do mums always know best even with make up) and No7 is definitely an example of that. They gave us a run down of the Match Made service and how it works and I made notes so I’ll pass those onto you. Well, the gist I got was they have a camera that has 200 LED lights and takes a picture of your clean skin (usually on the jawline because of less pigmentation). The camera then let’s you know your shade, one of 17 shades and then you can choose from 12 different types of coverages and finishes. From the shade you are given you can match your concealer, your powder, your lipstick and now your blusher. And so that’s how it works, it’s been running for a few years now and all products and developments are tested on over 2000 women to ensure quality. The products used on me. At the event we had the Match Made service used on us and got our make-up done, something that I have never had done before and I loved it. My shade was Calico and I matched it to a lipstick called Pink Hint and a publisher called Peony Mist both muted pinks. The first thing they did on my skin was take off my original make-up using the Beautiful Skin Cleanising Water, the I was moisturised using Beautiful Skin Day Cream and the Early Defense Eye Cream. Next was the Stay Perfect Primer which is a complete dupe for the Porefessional by Benefit but for a fraction of the price. After the primer was my foundation choice, I went for a foundation more light to medium coverage the Air Brush Away foundation in Calico and was lovely and light on the skin whilst being a decent coverage. Lastly, the Instant Radiance Concealer in 010 and the Match Made Concealer in 010 for under eyes and blemishes respectively. The Air Brush Away foundation used on me. Overall, I really enjoyed the event and having my make-up done for the first time. Everyone was so friendly and chatty and it has really enamored me to No7 again. So, if you have a No7 at and near you try out their Match Made service I highly recommend it.